DeltaNet International create and deliver innovative and interactive Cyber Security training solutions for organisations across the globe. We work in collaboration with subject specialists and legal experts to develop online training courses that mitigate risk and support your business goals. Our friendly team of experts are on-hand every step of the way, and all our courses can be tailored to meet your training requirements. We continually invest significantly in our products and all our solutions reflect the latest in modern trends and styles. We use advanced instructional techniques such as interactive video and gamification to create highly engaging and enjoyable learning experiences that set the benchmark in the industry. When you invest in eLearning from DeltaNet International, you can rest assured that you're getting expert subject matter delivered in an engaging and accessible way via cutting-edge design technique. We regularly update our courses to keep them looking and feeling fresh and to ensure they're up to date with the latest legislation. These updates are automatically rolled out to customers using our course suites, so peace of mind is part of the package. DeltaNet International develop long standing partnerships with our clients by building trust. Our independently gathered Feefo 5-star customer service rating is just one indication of the level of customer service you can expect; this is supported by a long list of clients willing to offer references and the growing number of long standing contracts we have with clients. Our content and platforms have been built using state-of-the-art technology and work seamlessly across PCs, laptops, tablets and mobiles (responsive design). Security is at the forefront of our development strategy and our products are regularly penetration tested. DeltaNet International specialise in the development and delivery of multilingual programmes for global organisations. We have developed sophisticated multilingual capabilities and have honed our process to provide a seamless translation service to our clients. We have translated course content into over 30 languages and are highly confident that we can provide courses in all the languages that you require. 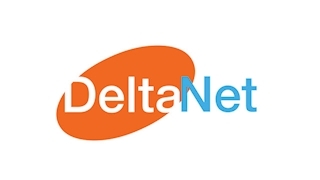 For customers looking for off-the-shelf training, DeltaNet International are pleased to offer a flexible kit-bag of online learning resources. These include traditional eLearning courses, scenario/story-led courses that immerse the learner into the learning journey, and a series of 'Take 5' microlearning courses that, whilst short, are highly impactful and perfect for refreshing and reinforcing key learning messages over time. We supplement this with more than 500 'brand-on-demand' posters, which clients can use to visually reinforce key compliance matters. We believe in teamwork; whether that's working closely with our clients on the perfect bespoke solution, recommending just the right off-the-shelf package to suit your needs, or getting our best experts, designers, and developers together on a project - collaboration is what makes us great. We've dedicated many years to becoming eLearning experts, and it's our passion above all else that keeps us going. We're passionate about our brand, our products, and our customer service and, what's more, we believe it's the reason we're industry leaders today. Here at DeltaNet International, we focus on the successful delivery of every project to only the highest standard, and nurture a culture of excellence and creativity. When it comes to eLearning, we're not afraid to think outside the box. We foster an honest, open, and respectful culture with a strong commitment to integrity and ethics. We approach every project with a value-added attitude (always with the aim of exceeding the expectations of our customers), and we're committed to building trust with our clients. We are a forward-thinking organisation, and we embrace change and innovation as a natural part of the industry we work in. As eLearning trends shift away from dull, legislatively focused courses and towards enhancing user experience and engagement levels, we're more than happy to lead the way.